American Promotional Events is recalling about 36,100 sets of TNT Red, White, & Blue Smoke fireworks. The fireworks can explode unexpectedly after being ignited, posing burn and injury hazards to consumers. The company has received three incident reports, resulting in three people suffering burn injuries. No property damage has been reported. 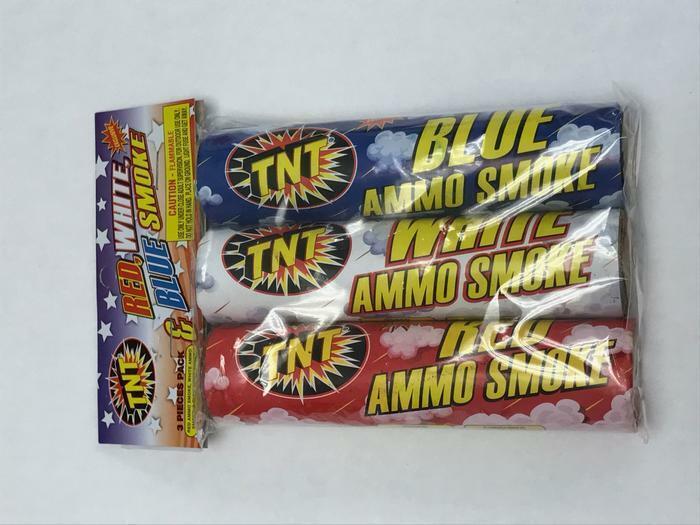 This recall involves TNT Red, White, & Blue Smoke fireworks, pyrotechnic devices that make smoke when lit. They were sold in a bag containing three canisters: one red, one blue and one white. Each colored smoke firework is a cardboard cylinder tube that measures about 1 inch in diameter and 5 inches long. The TNT logo, “Red, White & Blue Smoke” and UPC number 027736036561 appear on the packaging. The fireworks, manufactured in China, were sold at Albertsons, Kroger, Meijer, Target, Wal-Mart and other retailers in Illinois, Ohio, Vermont and Wisconsin from May 2017, through June 2017, for about $5. Consumers may contact American Promotional Events at 800-243-1189 from 8 a.m. to 5 p.m. (CT) Monday through Friday, by email at info@tntfireworks.com or online at www.tntfireworks.com and click on Product Recall at the bottom right-hand corner of the page.